Those looking for affordable golf opportunities in Lakeland, Florida, will find a terrific option at Big Cypress Golf Club. 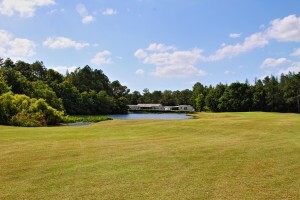 Located within Cypress Lakes – a 55 and older residential development – Big Cypress offers two affordable golf courses that are both challenging and enjoyable for golfers of any ability. Our North Executive Course is a streamlined par-60 course that is sure to help you fine-tune your short and mid-range game. Our South Championship Course—one of the better courses in all of Central Florida— is a full-length par-72 course that has been favorably mentioned in Golf Digest, Florida Golfer, and other periodicals. To learn more about our affordable golf opportunities, or to see all that Cypress Lakes has to offer, contact one of our friendly Lifestyle Consultants today. We’re proud to be one of the most popular 55+ developments in or near Lakeland, FL.